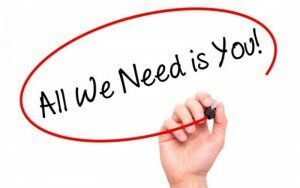 The Stratford Perth Museum is looking for volunteer tour guides for museum tours and bus tours from now through October 2018. Are you comfortable speaking to groups of people? Are you looking for a fun, unique volunteering opportunity? We provide full training, and flexibility to fit your schedule. The average commitment is 3 to 5 hours per week. Share and explore our exciting exhibits, including Harper Lee: To Kill a Mockingbird, Such Stuff As Dreams…: Stratford Festival History, Justin Bieber: Steps to Stardom, and more! Inquiries and applications can be submitted to Kayla Droog, Manager of Education and Public Programs by email to kayla@stratfordperthmuseum.ca or phone 519-393-5315. 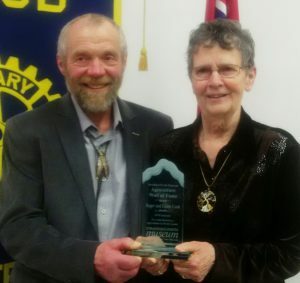 The Stratford Perth Museum Agriculture Wall of Fame announced its 2018 inductees at the Stratford Rotary Club’s Rural-Urban night in April. This is the fifth year for the Agriculture Wall of Fame, which recognizes contributions to agriculture in Perth County. Roger has also helped with the Stratford and District Agricultural Society, the Mitchell Pioneer Club and area plowing matches with sawmill and cross cut displays.The Cooks bought, moved and restored the Amulree circular sawmill to the farm and have made it available to friends and neighbours for the making of such things as toys, canoe paddles and tools. It’s hard to imagine that they have any time for hobbies but they enjoy canoeing, hiking, curling, pickleball, lawn bowling and square dancing. The Wall of Fame is supported by the Grain Farmers of Ontario – Perth County, Perth County Federation of Agriculture, Perth County Pork Producers, Zone 6 Egg Producers and Perth Dairy Producers Committee.